In this volume, Jonathan Hammer offers a translation of Hugo Ball's visionary novella "Tenderenda the Fantast", along with his own "Tenderenda"-inspired images. The resulting "dialogue" between Ball, the founder of Zurich Dada, and Hammer, a contemporary artist, should cast light on Dadaism and its postmodern legacies. In "Tenderenda", composed between 1914 and 1920, Ball recounts a hallucinatory tale of his own Dada enchantment and disenchantments. 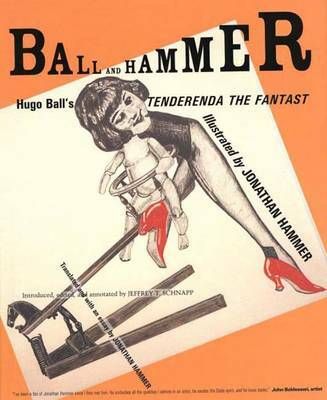 Jeffrey Schnapp introduces the book, elaborating the cultural and historical context of Ball's work and situating Hammer's work in relation to Dada. In a concluding essay, Hammer probes various aspects of Ball's asceticism, spirituality and sexuality to arrive at a revisionist interpretation of Zurich Dada and the origins of modernism as well as postmodern art-making.